Pictures and specs of one more phone is leaked now. And this time, it is BlackBerry Curve 9320. 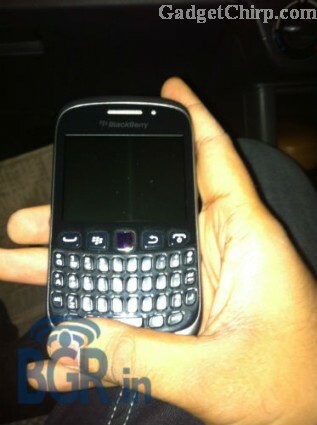 It is just a usual QWERTY BlackBerry phone and the leaked specs are just not exciting enough. The specs and features of BlackBerry Curve 9320 are given below. 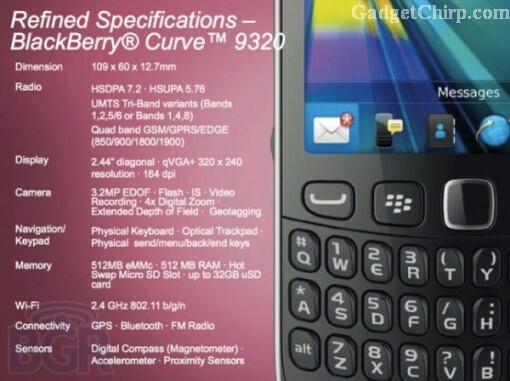 Hope that the final version of the BlackBerry Curve 9320 will be a bit improved, otherwise BlackBrry will have one more flop product ready in their list.